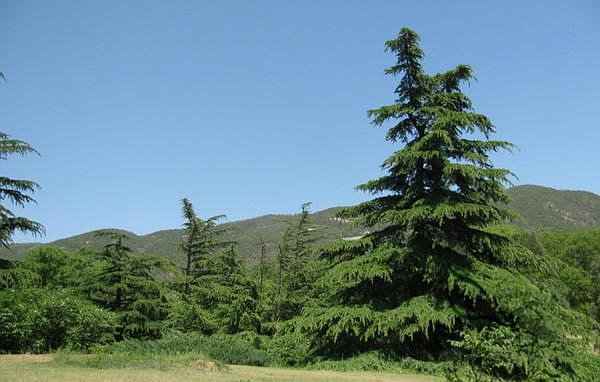 The genus Cedrus, the so-called genus of True Cedars, truly is not characterized by the great number of its species. On the contrary, in the best case, it includes four species, in the worst just three, two or one. However, what loses in massiveness replenishes it in utility and beauty. 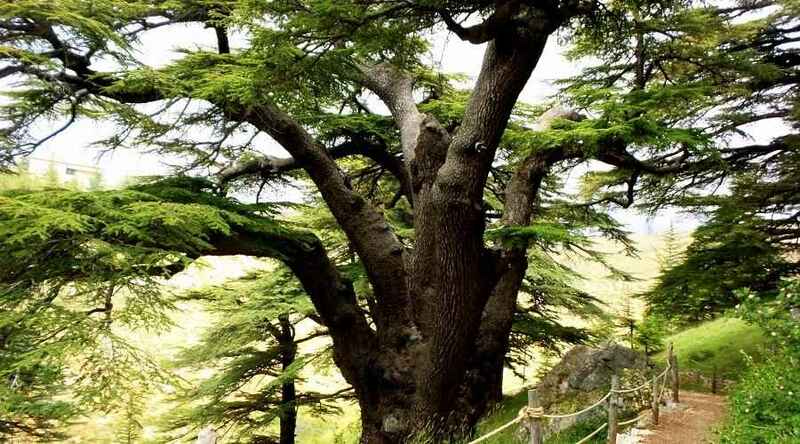 Indeed, True Cedars are of impressive development and appearance coniferous trees, extremely long-lived, and with great contribution to the creation of important forest ecosystems. In this endeavour, the editorial team of ‘Kalliergeia’ deals with this small genus – its classification, description and exploitation. And to say things by their names, addresses the genus Cedrus, which includes Cedrus deodara, C. libani, C. atlantica and C. brevifolia. If in the meantime new species emerges, it reserves the right to include it. 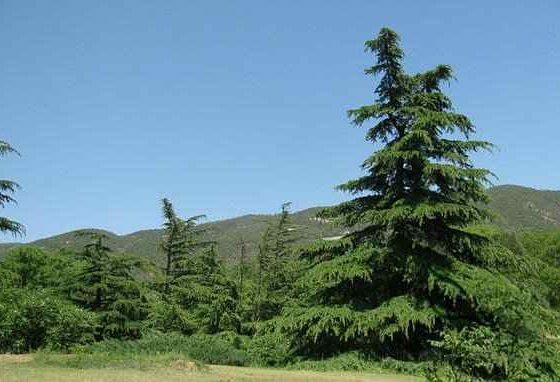 The species included in the genus Cedrus occupy a relatively small area of the Northern Hemisphere and form forests more or less extensive, pure or with Firs (Abies cilicica, A.numidica), Oaks (Quercus ilex, Q. rotundifolia and Q. cerris), Junipers (Juniperus excelsa and J. foetidissima), as well as Pines (Pinus nigra subsp. pallasiana and P. brutia). 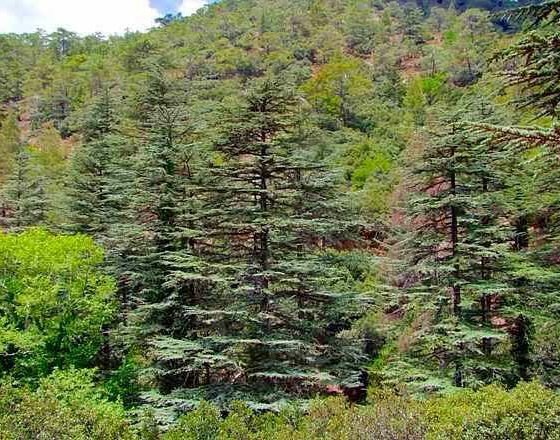 The origin of the species belonging to the genus Cedrus is located in an area whose western limit lies in Morocco, namely the Atlas Mountain, while the eastern is two steps away from there by plane, in the Himalayan Mountains, Nepal . The northern boundary of the True Cedars origine zone is the Black Sea, not precisely its salt water but the Akdağ Mountain in Amasya, Turkey, while the southern border is on Mount Lebanon as well as on Mount Jabal an-Nusayriya, between Lebanon and Syria. 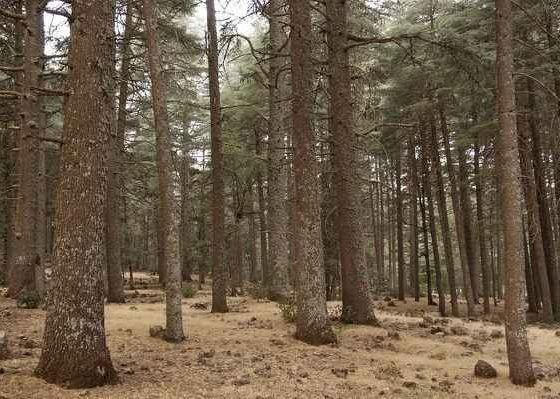 Within their natural development zone, True Cedars are mainly located in the mountainous areas. They are found at altitudes ranging from 900 to 3200 m (2900-10500 ft), but some of their natural populations are also found at lower altitudes at 500 m (1640 ft). 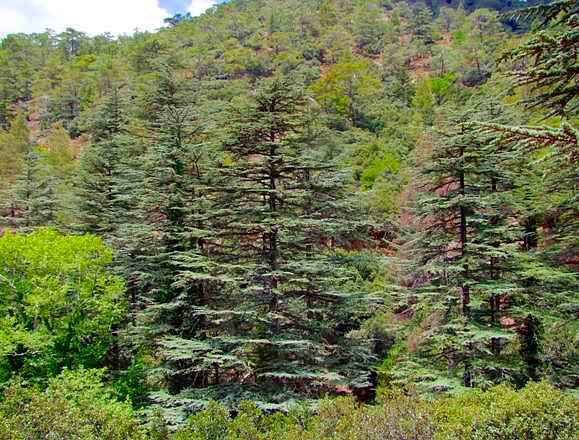 True Cedars grow in areas with diverse climatic types. They can tolerand low temperatures up to -35 °C (-31 °F) and maximum temperatures of 30 to 33.3 °C (86-92 °F). Still, they show excellent adaptation and cope with long periods of drought. As for the rainfalls, they are growing in those areas where the annual rainfall varies from 200 to 1800 mm. 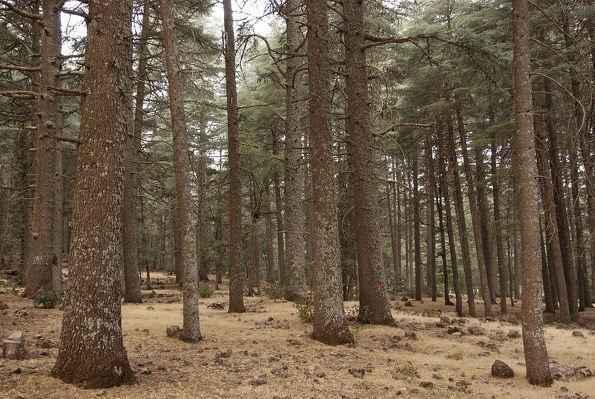 The natural habitats of True Cedars located in exceptionally good drainage of calcareous soils, but also to those whose parentmaterials consisting of sandstones, mica schist and serpentine andolivine basaltparent. In terms of soil reaction, Cedars grow in neutral to alkaline soils, with pH ranging from 6.6 to 8.2. The genus Cedrus includes evergreen conifers of impressive presence and big growth trees. They often reach a height of 30 to 40 m (98-130 ft), but also referred and True Cedar trees 70 m high (230 ft). They are of a horizontal-looking appearance and shape that varies from wide hemispherical – umbrella to conical – pyramid. They usually have a trunk and a dense or moderate density crown, which is characterized as fine texture. True Cedars trunk has a diameter of between 1 and 3 m (3-10 ft). The bark is initially smooth in all species, but over time it becomes rough, thick ridged or square-cracked. The color of the bark is grayish – brown to dark brown. The branches are strongly dimorphic as they differentiate in the growth into two types of branchlets, forming the long branchlets and the short branchlets. The long ones, growing several cm each year. The short branchlets are bearing from lateral, axillary buds, are of slow growth and producing few wood. The leaves of the species of genus Cedrus are needlelike, narrow and rigid. They have a wide triangular to quadrangular cross section, and each separate leave has two elongated resin canals. Although they are amphistomatous, the majority of the stomata are seen on the two upper sides. The leaves are solitary and arranged spirally, irrespective of the type of branchlets. However, because the insertion of the leaves in the short branchlets is dense (15-45), they show as that they are arranged in clusters. The leaf length varies both between True Cedar species and within the same species and ranges from 0.5 cm (1.27 in.) in Cedrus brevifolia to 6 cm (2.36 in.) in the Cedrus deodara. The life span of each individual leaf is from 3 to 6 years. All species in the genus Cedrus are monoecious. Although the strobilus (cones) are in the same tree, the males and females grow in different branches. The male cones are solitary, always erect, and their length is between 3 and 8 cm (1.2-3.14 in.). The female cones are also erect, resinous, woody, while growing in the peripheral branches. They are ovoid or barrel-shaped and initially greenish in color, which becomes light purple in maturation. To reach maturity, female cones need about 2 to 3 years. Their dimensions vary in length from 5 to 14 cm (1.9-5.5 in. ), and in width from 3 to 9 cm (1.2-3.6 in.). After maturation, the cones disintegrate (deciduous) but the central axis is persistent. Species belonging to the genus Cedrus enter in the reproductive phase after plants mature, which may, in some of them, last for 30 to 40 years. Pollination in True Cedars takes place in the autumn, by the wind and rain. The ovuliferous scales of the female cones contain two seeds. 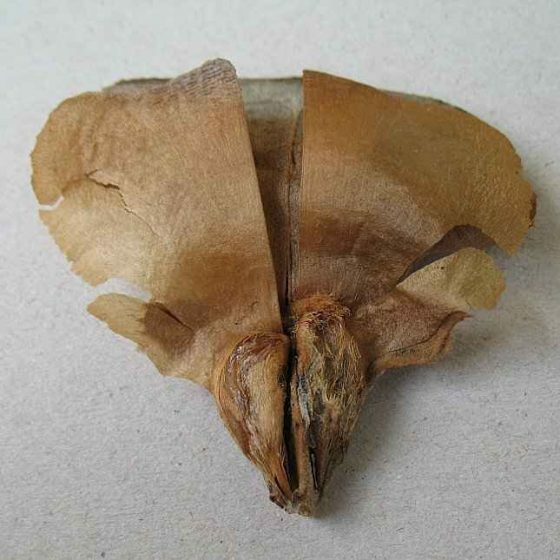 The seeds are irregularly triangular and are covered by a membrane that ends in a broad wing, giving them a winged shape. They are usually rather soft, oily as well as resinous. Their dimensions are for the length of 4 to 4.5 cm (1.5-1.77 in. ), of which 2 to 3 cm (0.78-1.2 in.) occupy the membranous wing, and for the width of 0.4 to 0.7 cm (0.15-0.27 in.). As might be remembered by the always patient reader of ‘Kalliergeia‘, it was mentioned at first that the species that includes the genus Cedrus, in the most scientific way, may be one, two, three or four. This is explained by the simple fact that the views of systematic botanists are respectively one, two, three or even four. In this endeavour, the editorial team of ‘Kalliergeia‘ adopt the view of four, because – strictly scientifically – it is more generous than the others. The species that include the genus Cedrus have been utilized and exploited in a variety of ways. Below, reference is made to their very wide field of use. The ancient, traditional, Indian medical system Ayurveda (आयुर्वेद) uses medicinal preparations of Cedrus deodara (or Devadaru, as it is the Sanskrit name). C. deodara is assessed for its anticonvulsant activity and is used accordingly. In many parts of Turkey, a kind of tar obtained from the resinous root and the and steam wood of Cedrus libani is used. The formulation is applied against skin complaints of animals because it has parasiticidal activity against predominantly entomological pests. In Lebanon, there is a wide use of essential oils extracted from C. libani as antibacterials, antifungals and antioxidants. 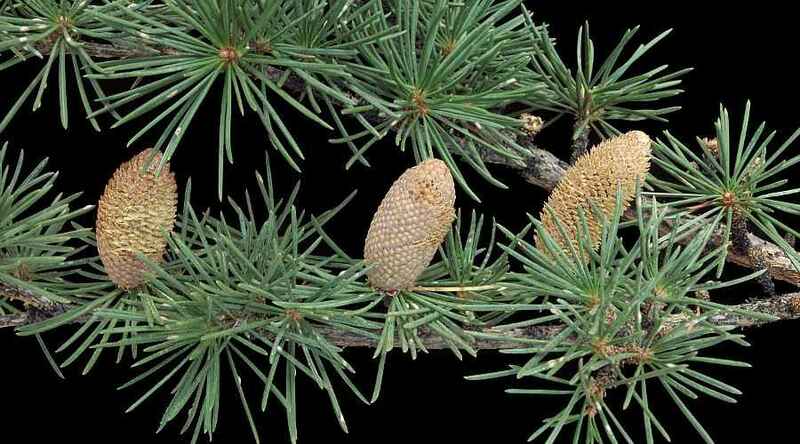 The essential oil as well as the ethanolic extracts obtained from the cones and the wood of Cedrus libani show antidiabetic action. The crude extracts of C. libani resins are particularly effective against pathogenic microorganisms, preventing their growth. The essential oil as well as the ethanolic extracts obtained from C. libani‘s cones, leaves and wood show considerable antiviral activity against Herpes simplex virus type-I. Organic volatile hydrocarbon Germacrene D, which is a key component of essential oils of all True Cedar species, has shown significant antitumor activity against leukemia and uterine cancer. The essential oil extracted from Cedrus atlantica has a significant antibiotic effect against bacilli, staphylococci and echinococci (Staphylococcus aureus, Enterococcus faecalis, Bacillus sphericus and Staphylococcus intermedius). The wood of Cedrus libani is of medium hardness, extremely fragrant and very durable. It is used for the manufacture of furniture and handicrafts which have for many years retained the aroma of Cedar. The wood of Cedrus atlantica is also fragrant and durable. It is used as a veneer, and thanks to the insect repellent properties it has, it is made of various objects in which various textiles are placed or stored. Cedrus deodara wood is used in all types of construction, in woodworking and carpentry, and is also used in the form of plywood. Among other things, the logs of the tree are suitable for columns supporting the electrical and telecommunication network and are used even for the manufacture of pencils, boxes and pallets. For the ornamental use of all species that includes the Genus Cedrus, a special reference is being or will be made to the particular tributes for each species. The article References with the euphonic title Genus Cedrus (Cedrus Trew): Classification, Description and Uses, makes it an honor to present them, the legendary group of Tuareg Terakaft, with their song Amazzagh.